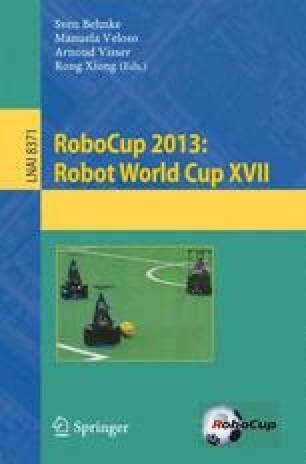 Quick and flexible walking is an indispensable skill for humanoid robots in the RoboCup soccer competition. So this paper mainly proposed a method to develop a flexible walking based on reinforcement learning for humanoid robots, which used Cerebellar Model Articulation Controller(CMAC) method and a linear inverted pendulum with a predictive control to generate a motion trajectory of the robots trunk in the premise of keeping dynamic balance of robots. Our team Apollo3D employed this walking skill, and won the championship in the RoboCup 2013 3D simulation competition.